A motorbike tour Vietnam full of heart-stopping views and subcultures with high significance. 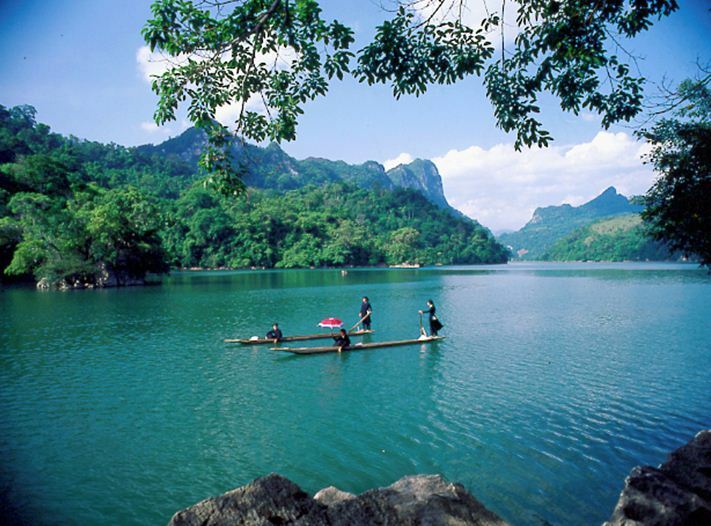 It is a tour tailor made for fans of trekking routes and rugged motorcycle rides, as Ha Giang, Cao Bang, and Ba Be Lake are perfect locations to ride to. With a beautiful mountainous surrounding, full of life and amazing views, this is a region not much travelled and explored, so it remains relatively virgin and inviting. Here you have the chance to interact with locals and remote ethnic minorities that most people with an interest in subcultures would die to meet! Motorbike tour Vietnam departure Time: 8:00 A.M. (we leave from the office’s premises). We wave Ha Noi goodbye and ride over the Thang Long Bridge, leaving the Red River behind. This is when the landscape opens up, and we start seeing the admirable farm lands as they gain from and give life to the Red River Delta. Riding north along Highway 3, we head to Thai Nguyen, where we have a break for some lunch and rest. Here you can taste the local cuisine and see how traditional Vietnamese food really tastes like! Additionally, you can stop by at the Museum of Cultures of Vietnam Ethnic Groups and learn some more about the culture and history behind the breathtaking scenery. As we leave the Delta behind, we enter the Ba Be National Park, which is another excellent mountainous area to see, especially at around afternoon, when we will be arriving, and catch the last rays of the sun as they give the place amazing colors. Another quick stop and then we ride straight downhill to reach our next motorbike tour Vietnam destination, the Tay village, where we check in at our homestay. You have free time to wander, take a stroll, or visit around the village. We have our dinner and spend the night in a traditional stilt house of the friendly and polite Tays.. Surrounded by an impressive limestone alpine area, we are enjoying our stay in the mesmerizing Ba Be National Park, home to over 330 butterfly species and the one-of-a-kind mountainous lake, while having a delightful breakfast with our Tay hosts. Then we can explore this magnificent eco-system some more, until the end of the lake, and then opt for some trekking experience to the Dau Dang waterfall. The scenery is amazingly green and lush, and this is how we imprint it in our memories, as we take the local boat back to the village, where we ride again and head north. 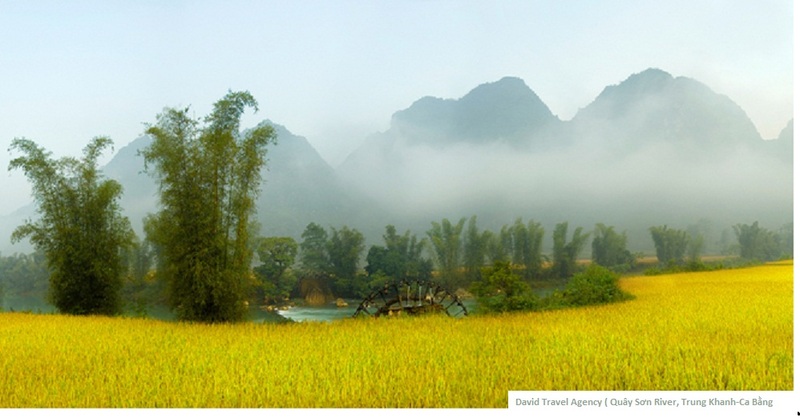 Our last destination for the day is the city of Cao Bang, after we go past abundant vegetation and mountainous passes. We stay overnight in a hotel. 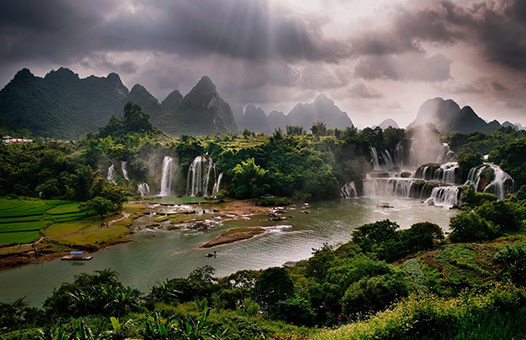 This is a day on our motorbike tour Vietnam distinguished by picturesque views as we ride north of Cao Bang, to the spectacular Ban Gioc waterfall, located in the borders with China. So, right after finishing breakfast, we head to Ban Gioc and its beautiful waterfall with the crystal waters. It is a lovely and scenic area that impresses with the amounts of water that rush down from 53 meters high, spanning 300 meters. We will get to see outstanding landscapes with limestone-karst topography beautifully blended with the diversity offered by verdant rice fields and farms that burst from fertile soils. As we ride our ways through the north east of the country, you will have the opportunity to meet many local communities and ethnic groups, such as the Tay, Dzao, and Hmong people. As soon as we arrive at the 2,144-meter long Nguom Ngao cave, located on the south, you will definitely be amazed by the exhilarating stalactites. Our last stop for the day will be Quang Uyen, where we get a homestay from the polite and friendly locals. We enjoy our breakfast and today on our motorbike tour Vietnam we drive along Highway 4, through a winding road that take us past the spectacular inclined mountainous scenery, through steep passes, and unspoiled land. 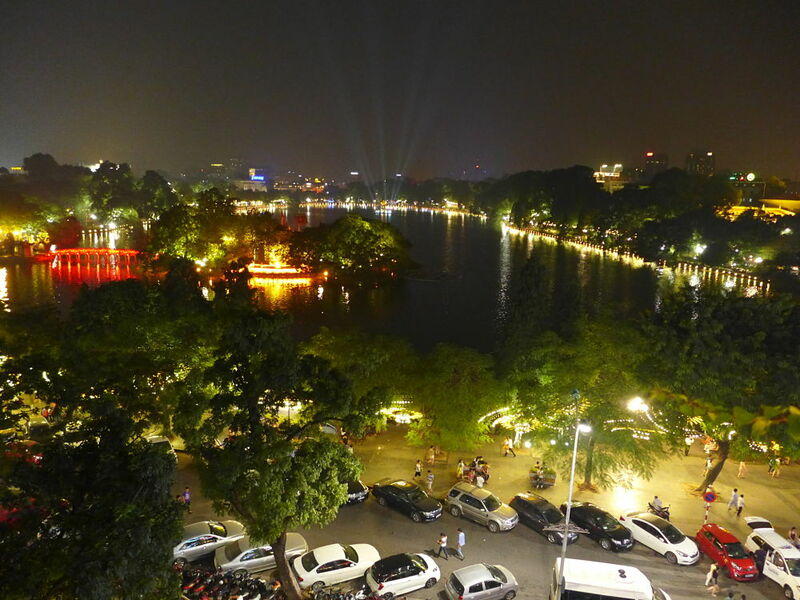 The capital of the region and a crossing with great significance, due to its location that makes trading with China convenient, is Lang Son. It is also the land that houses ethnic minority groups such as the Man, Dzao, Nung, and Tho. We stay overnight in a Hotel on this day of our motorbike tour Vietnam..
Lang Son’s two markets, the Dong Kinh Market and the Old Market, definitely worth visiting. There, you can find practically everything from gadgets and electronics to housewares and textiles; however, we should be careful as there are many counterfeit products. And, if you do not fancy markets much, you can alternatively visit the attractive Mac Dynasty Citadel ruins and the two spellbinding caves, the Tam Thanh Cave and the Nhi Thanh Cave, found only a few kilometers away. The Tam Thanh Cave has a beautiful pond, and you get to see a gorgeous vista of the surrounding cultivated land. At the Nhi Thanh Cave, on the other hand, is an entirely different picture. The man that discovered the cave back in the 18th century, carved poems into its entrance, which give out a more Shakespeare-like effect to the cave, as you walk through it and hear the bubbling river that flows through it. After spending time exploring the area, we have lunch and get ready for the return trip of our motorbike tour Vietnam. We head back to Hanoi, by taking the modern four-lane highway from Lang Son that gets us down the mountains in no time. Then we drive back to Red River Delta, before we finally reach Ha Noi, where our fascinating trip ends. Estimated Arrival: 6:00 P.M.
What do you think of Motorbike Adventure North East / 5 Days?